Trouble No More: A Musical Film”, directed by Jennifer Lebeau and Ron Kantor, with a running time of 58:56, a new feature-length cinematic presentation combining unreleased footage from Dylan’s 1980 tours with new material written by Luc Sante and performed by Academy Award nominee Michael Shannon, plus over 28 minutes of extras. The documentary premiered at the 2017 New York Film Festival. Here are 7 videos from this this brilliant “Musical Film”. Allow me to add my thanks, as well. Terrific stuff … when I saw the link i purposely waited for more than a week because I wanted to have enough time to properly relish all the songs. It must have been a stunning experience to witness him on this tour. I bought the box set sans the video disc and wondered if I had made a mistake, but hoped eventually I would get access to most of those videos. This is my first listen to “Jesus Met the Woman at the Well” and it’s the equal to so much of his great stuff during this period. Bob was so outstanding then, and he had the tightest of bands while singing with a seemingly rare ease about him (not self-conscious at all — the above poster must have meant to say ‘self-confident.’) … I’ve never been a big fan of “Solid Rock,” but this is a great version with Bob and his happy feet truly getting into it. Have to add, too, that I never tire of “Pressing On,” one of his all-time best. Dylan was always ridiculed and belittled by many contemporaries. His religious awakening was real and intense. Many didn’t like it and closed themselves to this experience. But in retrospect he was making just great music, equally fertile and artistically unmatched as his 60s masterpieces. The gospel tunes mixed with rock’n’roll and deep religious convictions were enormously underrated at his time, but if you know the “Tangled up in blue” versions from 1978 you also know this whole enterprise did not come from nowhere. In the 1978 versions of TUIB he experimented with chorals and church music and used Gregorian style singing techniques. All in all this belongs to the best moments of his career and we have real stuff here to listen over the next 20 years. The version of “Do Right To Me Baby” is breath taking. I never heard it this way before. 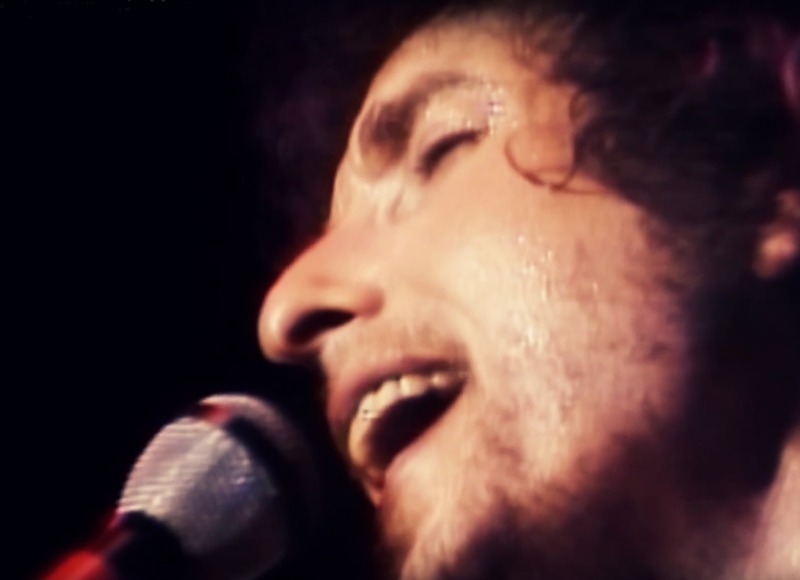 It is impressing how self conscious Dylan is while performing these songs. His attitude is not one bit insecure or shivering. Astonishing. And has anyone noticed that on “Jesus met the woman” he is playing bass? Your featuring these videos will probably get them deleted. Is getting people to visit your blog-site worth ruining things for others? We have heard this before, but never seen any evidence in our 6 year blogging about Dylan. If anyone searches for “Bob Dylan” in youtube they will easily find the videos we share. If people sharing on youtube don’t want blogs etc to embed their videos they can easily prevent it. In our experience most people actually appreciate their videos being shared. Thank you! More people need to see and hear these historic performances. As for Walter; haters gonna hate.